With 2010 being a below average year for comedies, it was surprising to see how funny Date Night was. It isn't like any of the other films we have seen surface this year, and definitely stands out from the popular action/comedy genre, which has been abused by such blockbusters as Knight and Day and The Bounty Hunter. Phil and Claire Foster (Steve Carrell and Tina Fey) are a married couple who have their 'date night' once a year. This year they decide to go all out and go to a trendy restaurant. However, they are too late to make the reservation, so they steal someone else's. A decision which they regret, because the identity they have stolen are a wanted couple who have some important files. Phil and Claire are now on the run from two hit men type people, this is one date night they never bargained for. 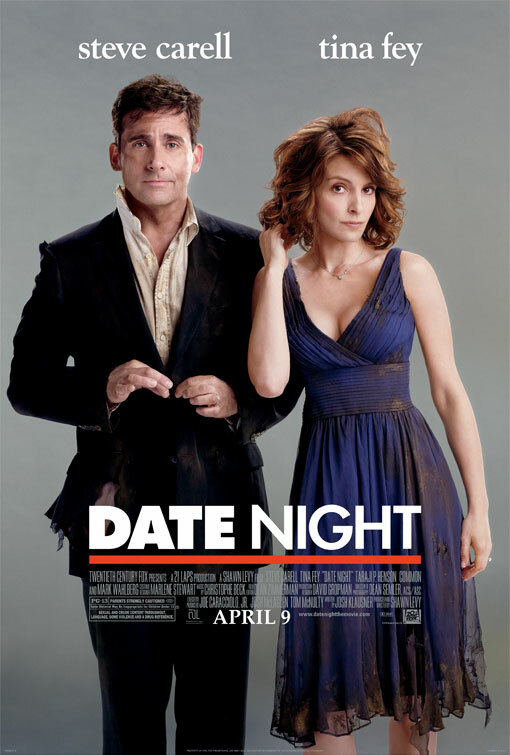 Of course, Date Night was going to be funny because it has Steve Carrell and Tina Fey in it. While they make up for most of the films flaws and carry it from start to finish with their amazingly funny personalities, it is not just them doing it all alone. It has the one thing that makes a comedy good: quotable dialogue. I mean, you remember The Hangover? How many times have you found yourself saying a line from that movie? Date Night is exactly like that. There's a line in it for everyone. Throw in cameos and support from such stars as Mark Wahlberg, Taraji P. Henson, William Fichtner, Leighton Meester, Kristen Wiig, Mark Ruffalo, James Franco and Mila Kunis, well this movie has got it covered. It succeeds in entertaining, combining action with comedy for a fun filled ride. This is one of the first comedy must-sees for 2010. Funny and action-packed, Carrell and Fey deliver a winner.